How cool are these origami bunnies I made for Easter! You could have a litter of these in different sizes as a mantel piece or hide them around the house for the kids to find! I made mine with an A4 piece of paper cut into a square. 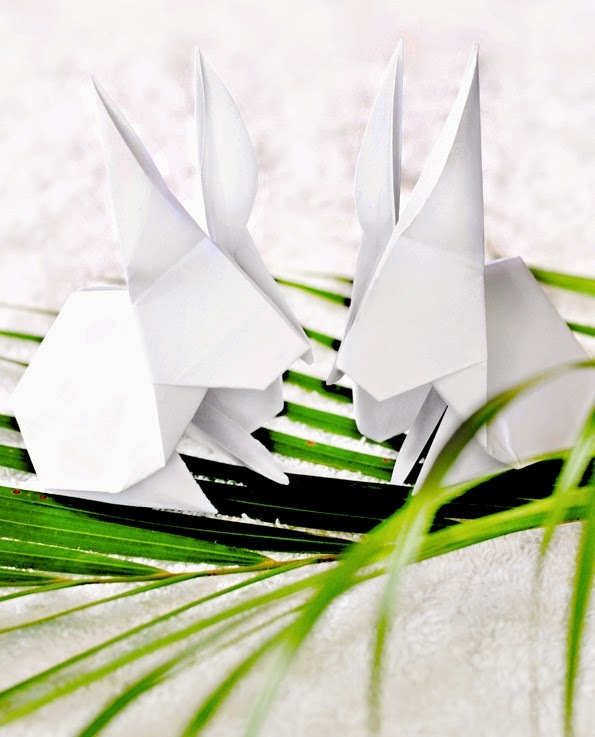 This origami bunny is designed by Stephen O'Hanlon and demonstrated by Mari Michaelis in this step-by-step video below.